Celebrate your wedding vows, civil union, or vow renewal with a warm, loving, intimate service performed by the Reverend Marsha Rogers or Kahu Liko on the beautiful Island of Maui. Feel the “Mana” (energy) of the Aloha Spirit as you rejoice and confirm the love you share. Available for you as a English/Hawaiian, spiritual or non-denominational ceremony. Non-denominational and Interfaith Weddings and Ceremonies. Minister Only Weddings or your Big Fat Maui Wedding. I will insure that your joyous day is held in the spirit of Aloha. Beach ceremonies at sunset, dawn or under a full moon or in tropical garden settings or waterfalls and even underwater! Traditional or contemporary vows, traditional sacred readings and blessings or whimsical joyous celebrations. A wedding on a beautiful white sand beach witnessed by blue sky, blue ocean and maybe a whale or a turtle nearby munching on some shoreline delicacy; a ceremony amid the tangles of nature’s lush green bounty with romantic vows recited beside a quiet stream joyously gurgling. Such ceremonies seem blessed by the spirit of love itself. and supports your right to have your wedding just the way you want to celebrate it. I enjoy bringing couples together in matrimony and sharing my gifts to complement their special moment. If desired, my talents as a professional operatic baritone singer can add a powerful effect to the service with acapella renditions of songs like Some Enchanted Evening, The Hawaiian Wedding Song or Ave Maria. Musical accompaniment is also available. Rev. Heidi Alfrey M.S., performs interfaith and non-denominational weddings on beautiful Maui, Hawaii. Romantic nuptials are created specifically and uniquely for each couple. Rev. Alfrey takes time and care to assist in customizing your own individualized ceremony, giving attention to personalized vows and rituals, including special family considerations. Her years of experience as a wedding professional provide extensive local expertise and knowledge of desirable settings and suppliers. As a Marriage and Family Therapist, she is also available for pre-marital counseling. Make your celebration an unforgettable and once-in-a-lifetime event! My ceremonies are spiritual, heartfelt and inspirational that I perform on some of the most stunning beaches here on this most precious island. Eve offers Simple, Spiritual, Private, meaningful ceremonies. Whether you are getting married, renewing vows, or simply having a sacred ceremony to honor next steps, we can help you. Our goal is to help you to customize this sacred event to reflect exactly the message you wish to convey. Two ceremonies—one and one non-traditional are offered for you as a starting point. We offer LGBT ceremonies, full moon weddings, labyrinth weddings, underwater Scuba weddings and weddings in the shark tank at the Maui Ocean Center. Locations are endless when it comes to planning a wedding in Maui. What more could you ask for other than perfect weather, no sense of urgency and an aloha spirit on an island? But, I must say that the key to a perfect wedding can only come from within. It’s the LOVE that brought us together with our significant other! It’s the LOVE that kept us together through the years! It’s the LOVE that will make your wedding day a day to remember forever more! And it’s “Weddings by Trinity” that will take care of all your planning needs to make sure you have nothing to do other than LOVE each other. Reverend Kahu Kamuela is a direct descendant of the Mahihelelima Ohana. They were Nakoa warriors for the great King Kamehameha. In the 1900’s the Mahihelelima ohana moved to Maui and made their home in the Kumuwiliwili area. The ohana served as konohikis or protectors for the beautiful and lush Iao Valley. We’re here to make your destination wedding planning a relaxed and streamlined process. Easily find the perfect choice for your minister with our selection of traditional and professional Ministers or “Kahu” as we say on the Islands. Once selected simply add a wedding package provided by our sister company Paradise Dream Weddings to suit all of your specific requirements and desires. Weddings are happy times, and here in Maui we have the perfect setting to make it a truly memorable occasion. The excitement that Minister Pia feels from each couple is contagious. He is honored and blessed to be a part of the ceremony. He is a Hawaiian wedding officiant available for weddings or vow renewals. Choose from Religious, Non-Religious or Alternative ceremony options, or even create your own personalized script for your chosen minister to work with. No matter what you choose, you can rest assured that your minister will be there to elevate the beauty of your wedding ceremony. We offer licensed female and male Maui wedding ministers – spirited practitioners of enjoining two separate individuals into One, taking you, step-by-step, to new heights, spiritually – adding a sincere “touch of aloha” to your Maui wedding ceremony. Other Maui ministers, not pictured above, also available. Rev. Sandra (Ayesha) Lee Furumoto is our in-staff minister. Reverend Joe Miles offers spiritual & Christian ceremonies on Maui. The giving and receiving of the love we have for ourselves and each other is the greatest gift we have to offer. erving as your officiant and creating a noteworthy ceremony on the special day of your marriage is my goal. To serve you is an honor, privilege and sacred trust that brings me great joy and satisfaction. I perform a wide variety of wedding ceremonies. Vera has simple heartfelt Wedding Ceremonies. She is bi-lingual and performs ceremonies in English, Spanish and Portuguese. Services includes: weddings, renewal of vows, blessings, holy unions, pre marital counseling, relationship issues, child and family counseling. Vera Poole is ordained and licensed by the state of Hawaii. Vera also holds a master degree in clinical psychology and has been practicing counseling for 30 years. She is active in providing weddings as well as in her counseling practice on the island of Maui/ Hawaii. Lisa Porter is an ordained minister and a state licensed officiant. 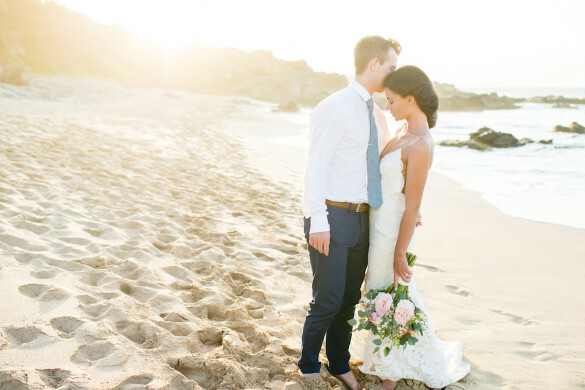 She has married couples all over Maui (and in Mazatlan, Mexico!). She is extremely flexible and is willing to taylor her ceremony to suit your special wishes and prayers. Reverend Lisa especially loves when people bring their own special touches to a wedding, and embraces cultural traditions from around the world. She also chants in Hawaiian very beautifully. Vow renewals and celebrations of life are always welcome. – chanting and conch blowing are included. Five different wedding ceremonies are provided for the bride & groom to choose from. A Vow-Renewal is also provided for couples who wish to celebrate and re-affirm their ongoing love for one another. Rev. Lewis’ soothing voice and peaceful presence will surround all in attendance with a special sense of sacredness. To read the ceremonies, click on the links below. All ceremonies can be customizedwith special readings or vows provided by the couple. A ring exchange can also be added to the Vow-Renewal. Lei exchanges are optional. If the bride and groom wish to have Rev. Lewis as their minister, yet have their own complete ceremony at hand, he will be glad to be of service in this manner, by reading the ceremony and/or vows with little or no preparation, when necessary. Rev. Valentine “TINO” Rosete Jr.
Born and raised on the beautiful island of Maui, Rev. Valentine (Tino) Rosete truly represents the spirit of Aloha. Whether you’re planning a large resort-style destination wedding or an intimate “spur of the moment” elopement on a Maui beach, as the Bride and Groom, you have the option of having a Christian or Non Religious Wedding Ceremony (omitting prayer). To make your ceremony even more special, vows prepared and recited to your loved one, are also encouraged. Short readings done by your friends or family members are also welcomed. Please view our selections to see which ceremony fits you best! Reverend ALAPAKI, the gentleman who is also known as the “gentle man”. Whether Reverend Alapaki is performing as the Minister at your wedding or vow renewal, your life will be forever touched by this incredibly gifted man and you will know you have experienced the true meaning of Aloha.